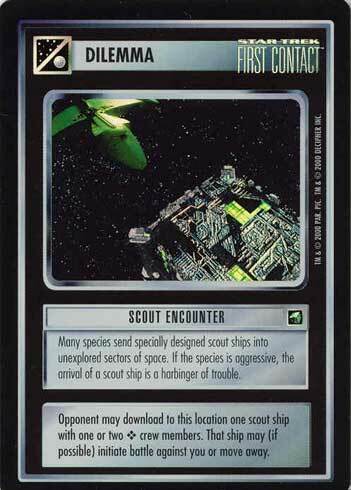 Many species send specially designed scout ships into unexplored sectors of space. 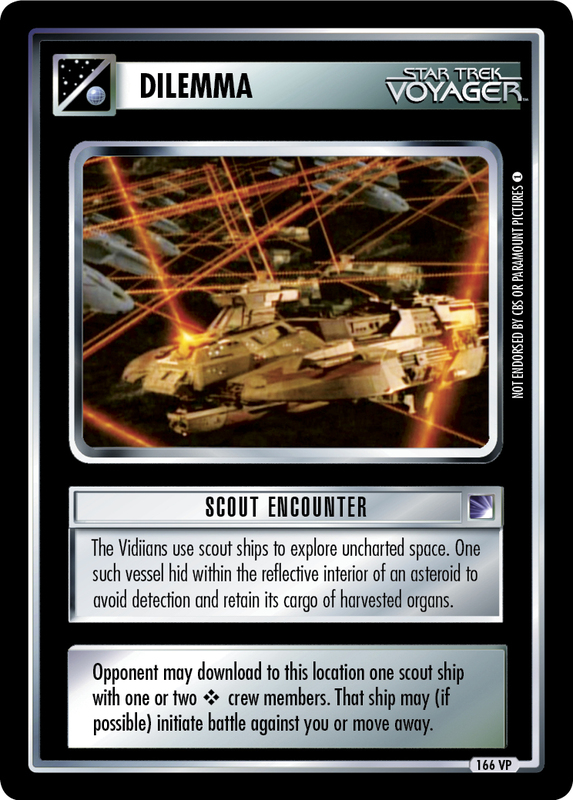 If the species is aggressive, the arrival of a scout ship is a harbinger of trouble. Opponent may download to this location one scout ship with one or two ❖ crew members. That ship may (if possible) initiate battle against you or move away.